We've crunched the numbers to recommend the right GPU for your budget. 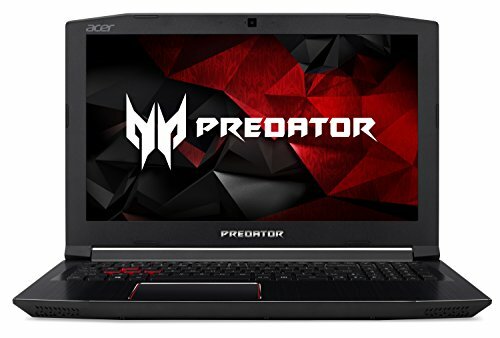 A gaming laptop’s GPU matters just as much as its CPU and other components. 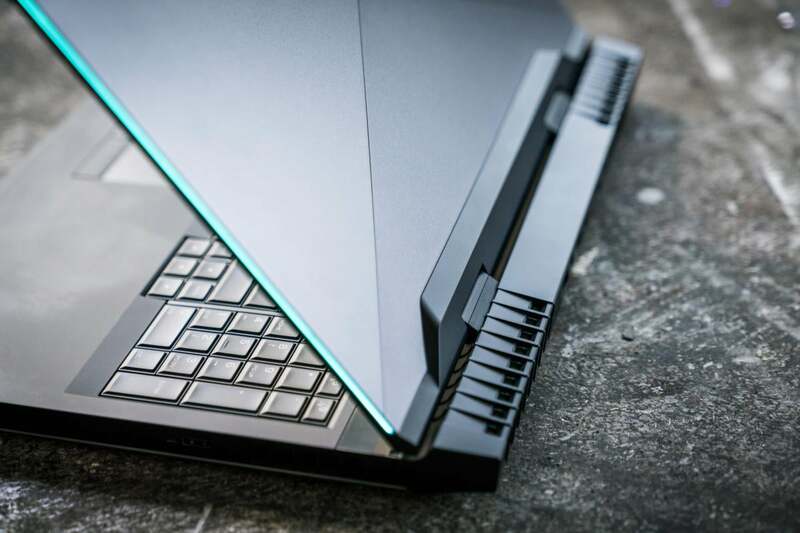 Given that any gaming laptop worth the name has some sort of discrete graphics, we’ll go through all the mobile GPUs available and tell you what to expect from each one, and point you to some laptops that carry them. Update 11/27/2018: We’ve now added AMD’s Radeon RX Vega 56 to the mix of laptop GPUs. 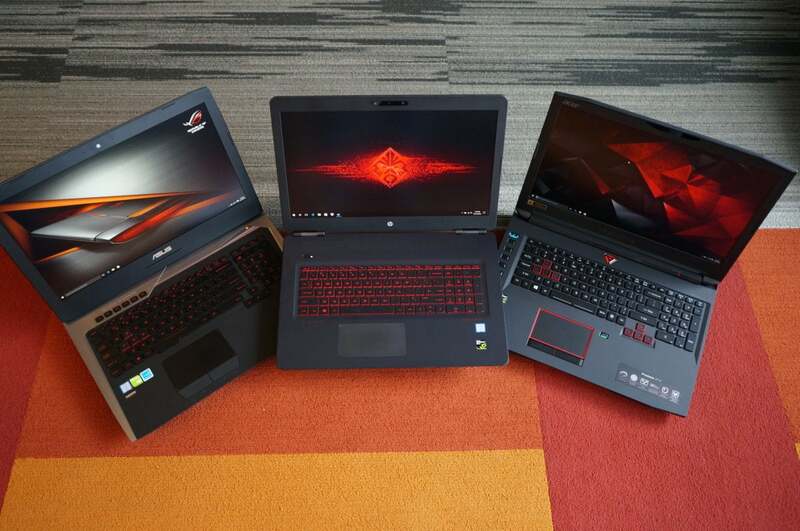 For more information and a broader range of options, check out our story on the best gaming laptops. A lot of options exist, so to help you make the right decision, we’ve compiled performance scores from more than a dozen different GPUs and laptops. We've also boiled it all down into easy guidelines for every budget. Buying a gaming laptop can be a serious investment of cash, but the purchase doesn't have to go above and beyond your limit to make you happy. Here’s roughly what you can expect to see out of the various top GPUs in gaming laptops today. Keep in mind that that the older a game is, the less graphics capability it will require. New to our list is the Radeon RX Vega 56. Want to cut to the chase? 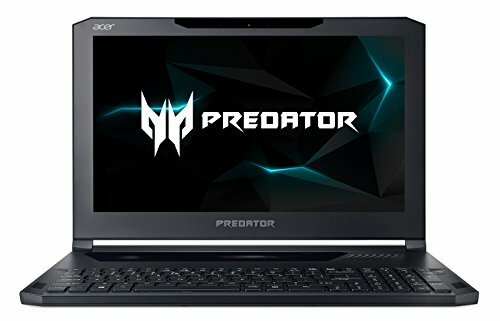 Jump below for specific GPU recommendations and laptop examples. 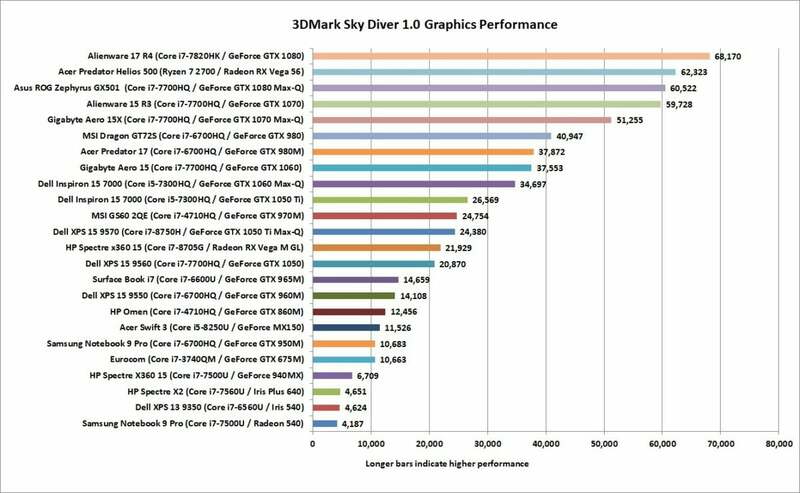 These guidelines are based on Futuremark’s 3DMark Sky Diver benchmark. Though the test isn’t from a real video game, its value actually extends beyond a typical game. Some built-in benchmarks can be influenced by the CPU performance. 3DMark, on the other hand, is inherently a graphics benchmark, and it allows us to focus very narrowly on graphics performance. Note that 3DMark’s Sky Diver test is a good indication of what to expect when playing lower-intensity or older blockbuster games. If you put a more intensive graphics load in it, you’ll see cards on the lower end of the power scale fall. For example, in 3DMark’s Fire Strike test, we can see the margin widen between the GeForce GTX 1050 Ti and the GeForce GTX 1050. The older GeForce GTX 980 and GeForce GTX 980M also fall behind the GeForce GTX 1060 too. 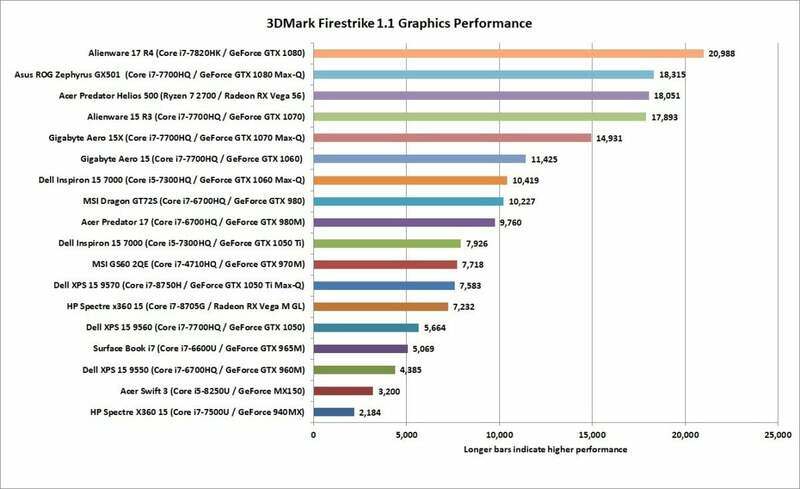 3DMark Firestrike’s graphics performance factors in only graphics performance for its results. Now that you have a baseline idea of what to expect, let’s break down the best GPU for each common screen resolution. Expect to pay: Laptops in this range roughly span $500 to $1,600. In this range, the older Maxwell-based GeForce GTX 965M and GTX 960M will perform well, too. Because they can technically handle outputting a resolution of 1920x1080, you’ll get more longevity out of them if you instead regularly play at 1366x768. Expect to pay: Laptops in this range span an average of $900 to $1,800. When moving up to 1920x1080 (also known as 1080p or FHD), you have four levels of GPU to pick from: The GeForce GTX 1050, GTX 1050 Ti, GTX 1060 Max-Q, and GTX 1060. The GeForce GTX 965M and GTX 960M technically get a place here, too, but their age and performance means you’d be playing at Medium graphic settings in newer games. For a constant 60 fps when playing at 1080p, the best GPU is the GeForce GTX 1060 or the GeForce GTX 1060 Max-Q. The Max-Q variant is maybe 5 to 15 percent slower than the full GTX 1060, but it consumes less power. It also shaves off some cost. That said, both GPUs are great for playing at Very High to Ultra settings. At this performance level, most laptops are dedicated gaming notebooks. The prices, screen sizes, and weights range widely, so there’s something for everyone. You’ll even see models with surprisingly slender profiles, like MSI’s GS65 Stealth Thin 8RE (available on Amazon). Also worth taking a look at are the new (but few) laptops based on Intel’s love child with AMD, based on a Core i7 and Radeon RX Vega M graphics, such as HP’s Spectre x360 15 (available on Amazon). It offers good 1080p performance while offering all the flexibility of convertible laptops. 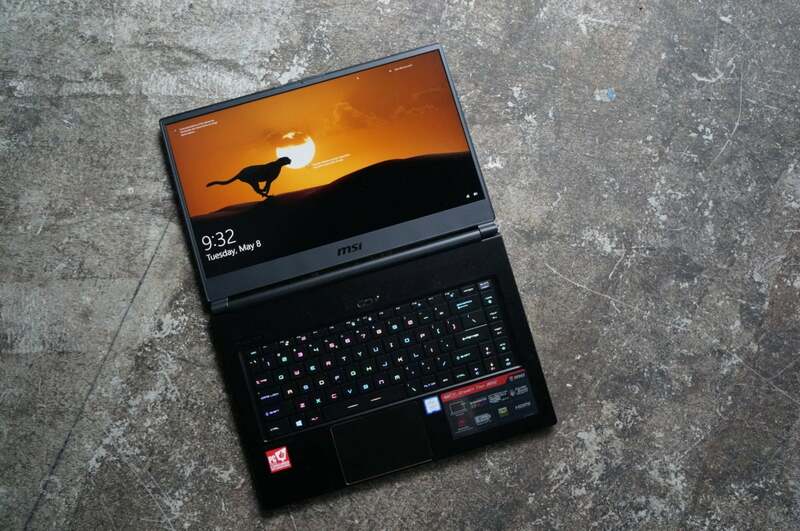 MSI’s GS65 Stealth Thin packs an amazing amount of performance into a 4 lbs. body. Expect to pay: Laptops in this range span an average of $1,700 to $2,300. If you go up one more level to 2560x1440, you’re firmly in the range of the GeForce GTX 1070 or the GeForce GTX 1070 Max-Q. Both are great and should deliver gaming at high frame rates on newer games without issue. They should also meet the needs of 120Hz panels in most games at 1080p. Expect to pay: Laptops in this range span an average of $2,700 to $3,300. If you’re aiming to play at a resolution of 3840x2160, you’ve moved into the range of the GeForce GTX 1080 card (and its Max-Q variant). That is, provided the laptop also has a G-Sync panel. Having a display that supports variable refresh rates will smooth out your gaming experience when frame rates dip below 50 fps. Because the GTX 1080 can’t support 4K at 60 fps across the board, an alternative reason to have it is for gaming at a high refresh rate, but a lower resolution. 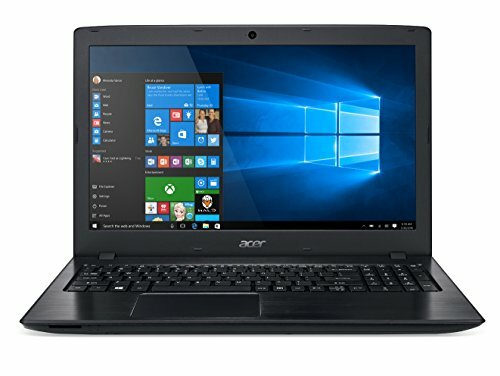 Most gaming laptops offer refresh rates of 60Hz. By doubling it to 120Hz, blurring is eliminated at high frame rates, making everything look buttery-smooth. You can find laptops with a GTX 1080 with 15- or 17-inch displays, and even fairly slender and lightweight models, thanks to Nvidia’s Max-Q variant. Some come with G-Sync, while others have panels with a fixed refresh rate. Regardless, expect to shell out some serious cash in this range. Expect to pay: Laptops that can handle eSports span the range of $500 and up. One extra category we’ll touch on here is the eSports category. That’s the all-important competitive gaming category that includes Counter Strike: Global Operations, League of Legends, DOTA 2, and other similar games. These types of games aren’t that GPU-intensive, so a GeForce GTX 1050 and higher will run them very easily. Lower-end cards like the 940MX and MX150 are also capable of running them. In fact, this class of video games can even run on integrated graphics—they just may not run them that well. So what should you get? It really comes down to how fast you want the game to run and how much you want to pay to get that performance. For casual gamers who like to play eSports-class games, a GTX 1050 will provide a good experience. For serious competitors who need to push 144 fps on a high refresh-rate monitor, then a GeForce GTX 1070 or even GTX 1080 might be preferred. This article originally published November 30, 2017. This story, "How to pick the best GPU for a gaming laptop " was originally published by PCWorld.